Protecting your family from home safety hazards is a top priority for any homeowner. According to the National Safety Council’s 2016 report, an estimated 161,374 people died from unintentional injury-related deaths in their homes. Adding an extra layer of safety to your house can help keep your family and friends safe year round. Below is our TOP 5 safety tips every homeowner should follow. Three out of every five house fires start with the stove. To prevent home cooking fires, objects such as towels, curtains, etc. should stay at least 3 feet away from the heating surface of your stove. Furthermore, maintaining a clean stove and oven where grease has been removed can also prevent a fire. Don’t neglect the range hood. Maintaining the fan features in the hood and keeping it also free of grease is a priority. The National Safety Council further sites that home dryer fires happen at approximately 17,800 a year. These fires are preventable and usually start because of built-up lint. Remember to clean the lint trap after each use. Moreover, scheduling the dryer vent for a good cleaning semi-annually is imperative. If you need a good HVAC person to come and help you clean these vents, contact the Wisconsin Better Business Bureau. They have a list of companies who provide this service. Over 400 Americans die each year from carbon monoxide inhalation each year, and the number of lung cancer deaths associated with high levels of radon in homes is over 21,000 a year. These numbers can significantly be reduced and so can your chances of experiencing symptoms or death related to carbon monoxide or radon by merely installing and maintaining the detectors. Be sure to check your detector’s batteries monthly. Because radon comes from the ground, be sure to install a radon detector in your basement. According to the EFSI, an estimated 51,000 fires each year, nearly than 500 deaths, more than 1,400 injuries, and $1.3 billion in property damage each year come from electrical fires. The majority of these are due to frayed cords, damaged cords, or products that were not in use but plugged in. Whenever an appliance is plugged in, it is live and able to catch fire. Unplugging things like curling irons, kitchen appliances, and charger cords can help prevent a fire. Be sure to check cords if you have pets regularly, as some pets tend to chew wires. Homeowners also need to be aware of what is going on in the walls of their home. Listen for strange buzzing sounds or watch for lights that flicker. Be sure to not overload outlets with too many cords, and if you decide to get any work done on your property such as installing outlets, be sure to use an expert. Keeping fire detectors working and a family evacuation plan on hand in the event of a fire. If you suspect your electrical system is old or may not be working correctly, contact an expert and licensed professional as soon as possible to have the issues inspected. Keeping your family safe is a priority for High Quality Contracting. This list of 5 home safety tips is not an end all list, however, it will help keep you from harm. If you would like more information, contact your High Quality Contracting team today. Time for fall home maintenance. Along with the taste of hot apple cider, the smell of burning leaves, and the beauty of the trees comes the autumn fall maintenance checklist. No, it’s not fun. But, every good homeowner knows it must be done to keep themselves and their families safe from the elements and cozy once the cold winter months hit. You have 6 to 8 weeks to get ready in Wisconsin so the sooner you tackle this, the sooner you can sit back with your fuzzy socks and enjoy the beauty of the season. To help you out, High Quality Contracting Inc. developed this handy checklist for your fall home maintenance plan. Don’t forget to check their roofs at least twice a year for damage. Homeowners usually realize something is wrong when the damage has gotten so big that the cost is, well,“Through the Roof!”. So, now is the time to do that inspection. Walk around the outside of your home at your roof looking for signs of damage, sagging or aging. Pay particular attention to areas that moss, algae, and leaves pile up because those areas are prone to get water and leaking damage. Look for buckled, curled or missing shingles. Look for granule loss (texture on shingles) which is an indication that the shingles are aging and worn from the weather, they may need replacing. If you are able to get up on a ladder and look at your roof, do it. Check the spots that you had noted for damage. If you are not able to get up on a ladder, contact a local roofing expert such as High Quality Contracting, Inc. to come to take a look for you. This is an area that many homeowners also forget. Who wants to crawl around in an itchy attic and check their insulation, right? But, you should. Wet insulation means that leaks are coming through the roof. It can cause further damage and molding issues if not address. Missing or condensed insulation causes your attic to leak out your winters heat causing your energy bills to skyrocket while your home stays cold. Pay attention to corners and around areas that have those storage items to make sure your items are not wet or having been leaked down on. If you find a problem- We are the experts ready to help. Clogged or damaged gutters can cause ice dams, siding damage, and roofing damage. It is imperative to check your gutters for any damaged or missing drain spouts. Climb up on the ladder (if your comfortable doing so) and remove any debris, leaves, sticks etc. from the gutter system. If you have problems getting up on a ladder, you may want to consider having new gutters with a gutter guard system installed. 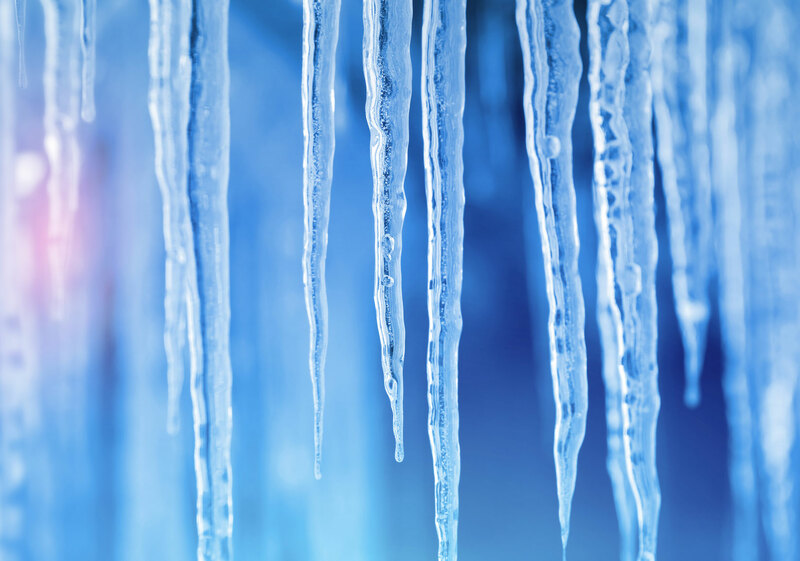 These revolutionary systems help prevent a buildup of debris and ice dams from forming. When cold weather hits, the cold air starts leaking into your home along with the neighborhood critters who are seeking refuge and a bite to eat in your pantry. Keep them both out by sealing cracks and gaps around your home. There are several great products out on the market that can help you fill in the small cracks such as caulk, GreatStuff, and Flex Seal. For larger gaps and cracks, you may need some wire mesh, heavy-duty hardware cloth or hire a professional contractor to handle the problem. We found these useful tips from the Department of Energy on their website http://www.Energy.gov. Test your home for air tightness. Check your dryer vent to be sure it is not blocked in order to save energy and may prevent a fire. Applying weather-stripping around the frames of windows and doors can help reduce your energy costs. Weather seals rip, compress, and wear over time so remedy this with weather stripping. Another great fashionable item homeowners find useful are colorful draft stoppers. These sometimes home-made, sometimes store bought products adhere to the bottom of your door and help to reduce cold weather air from getting in. If your door has damage or larger gaps, consider having a new door installed by High Quality Contracting Inc. Give us a call today. Trimming back your bushes and removing any dead branches from trees is a good thing to do this time of year. If you have several trees on your property, consider hiring an arborist to check out the health of your trees. This time of year is the perfect time to have these specialists check your trees for disease, to safely trim back the branches that may fall in the winter, and to apply treatments into the trees for fungus and diseases such as diplodia. Newer weather resistant windows do not need much maintenance. They simply need to be shut and locked closed. But, if you are like many Wisconsin homeowners and you have windows that are older that leak air, you have a lot more do to than that to ready yourself for the winter months. Installing weather stripping and plastic are two options that can help. If the window is cracked or broken it will need to be replaced. If you can feel a heavy breeze or you can see a gap between the window and the seal around it, it may be time to replace your windows. High Quality Contracting Inc. can help you with an estimate of the costs to have that happen. We install all types of windows and doors to help keep your heat in and the elements out. It is important to check your stair railings, walkways, and stairs for loose rails, boards and large cracks or gaps. Loose rails and boards can lead to serious slip and fall situations during the winter months. Large cracks and gaps in the walkways can cause ice to build up and for you to slip and fall. If you find your stairs, decks or railings to be faulty, contact a certified contractor like High Quality Contracting Inc. to come and repair or replace the items for you. No one wants to spend the winter in a cast. Taking care of these dangerous items now can save you later. 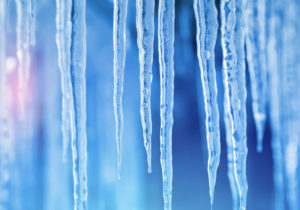 Prepping your pipes from freezing and damage can save you a bundle in repair bills. Simply shut off exterior faucets and valves before the winter freeze hits. Drain and roll up your hoses and put them away for the winter. If you have a faucet that sticks out a little bit, adding some foam or insulation products around the pipe is a good idea as well. Don’t wait until you have 3 feet of snow on your front driveway before you realize that you might need a snow shovel. Check your shovels, ready the snow blower with yearly maintenance, get out the snow brushes for the cars, and purchase the ice melt products that you need. Don’t forget, if you have pets or plants, check for products that are safe to use. Many retailers offer specials early in the season, and prices can go up if they start running low. Don’t be caught unprepared. Now is the perfect time to check your safety devices around your home. Check your fire extinguishers and replace them if they are past the expiration date. Check the batteries in your fire alarms and carbon monoxide detectors. If you have never had your home checked for radon, now is the time to do it. High radon levels of 4 and above can be extremely harmful to you and your family, so having this checked is important. Window A/C units should be either removed or covered before the weather turns cold. Covers can be purchased at a local hardware store or home specialty store. If you have a central air conditioning unit, you will want to consult your owners manual before ever covering your unit. Some units should not be covered to prevent moisture build up and others are recommended to be covered. It depends. If you are not sure, contact a local A/C company or the manufacturer to find out. As you use your home dryer through-out the year, the lint sometimes passes through and builds up in the venting tube. When this happens, it causes your dryer to work less efficiently and becomes a fire hazard. The cool, dry fall and winter air causes an increase in static electricity which can ignite with the lint. Clear this out and if needed replace the lint vent tubing with new tubing. You will be surprised at home much actually gathers in there. Nothing better than a warm cozy fireplace or wood burning stove in the winter. Keep those items working at their peak and safely with an annual cleaning and maintenance. Be sure to include a chimney cap if needed to keep creatures from climbing down your chimney when it is not in use. This will help keep your family safe to warm up by the fire. Just like the fireplace and the wood burning stove, your home’s heater needs regular maintenance. The last thing you want is to have it break down in subzero temperatures in the middle of the night where the cost for repairs will go way up. Prevent all of that by scheduling a heating company to come in and check your products. The Wisconsin Better Business Bureau has a great list of contractors who have been verified to help you choose the right contractor for your home. Also, don’t forget to change your heating filter and replace it with a high-quality one. Your heating system has sat all summer long and the filter will be dirty and dusty. Replacing that will help keep allergies down and your unit working efficiently. Contact Us for help with your fall roofing, or chimney issues.